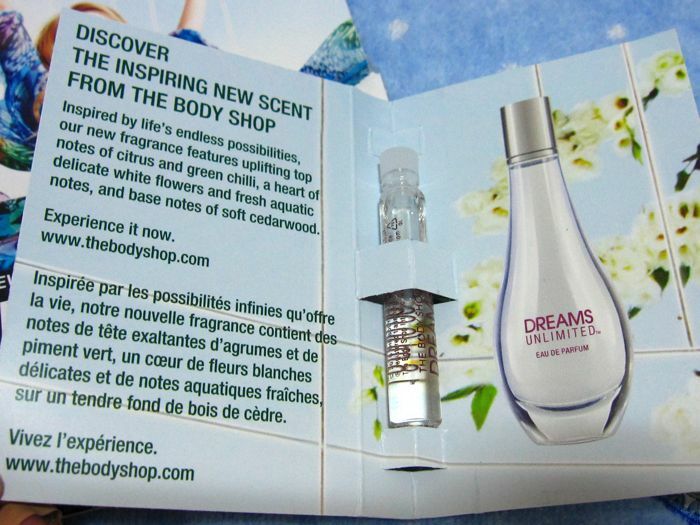 The Body Shop has just launched its new fragrance, Dreams Unlimited, in Singapore. It has uplifting top notes of citrus and green chilli, middle notes of white flowers and fresh aquatic notes and finishes off with base notes of soft cedarwood. The citrus and green chilli notes are a bit too subtle for my nose. Instead, I smell mainly soft white floral notes and blackcurrant with a faint musky base. If you are a Body Shop member, you can receive a 1.8ml sample vial just by showing your members' card at any Body Shop store. The Body Shop is also running these promotions from 19 October to 3 November.